Whilst there has been a recovery in the property market in the Republic of Ireland throughout 2015 there has been little activity in the holiday home sector. 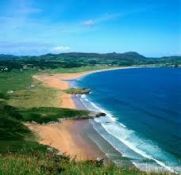 There may not be a better time to acquire a holiday home or other investment property in the Republic of Ireland in 2016 given the low interest rates and the relative strength of the Euro. Furthermore the Stamp Duty rate for residential properties worth less than €1million is now only 1%. Previously, subject to some exceptions, the rate had been 7% for properties over €125,000.00.